Whosyourhousemate is set to make his Australian debut at Moonee Valley on Wednesday. The import is in race eight, the Mittys Handicap over 1200m where he has drawn the outside barrier and will be ridden by Lachlan King. 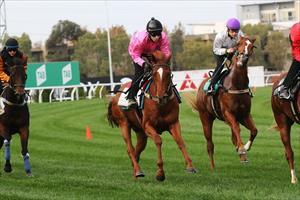 Whosyourhousemate has been training well and pleased in his jumpouts when put under some pressure. “His jump outs have been very good and we can't fault his work leading into this,” Feroce said. “The one question mark we have is how he will handle the tight Moonee Valley circuit and the 1200m. “He hasn't run at a distance shorter than 1600m in his career to date but he has shown good speed in his jumpouts to suggest he may get away with 1200m first-up.